If you would like a signed copy of Husbands That Cook, please note "SIGNED COPY" in the comments at checkout. 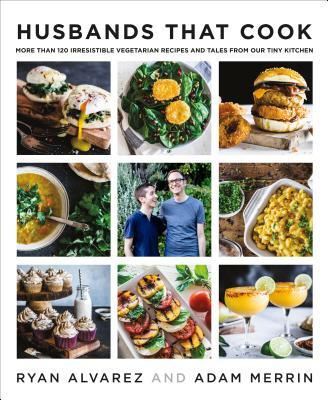 ADAM MERRIN and RYAN ALVAREZ are two husbands that cook together in a small kitchen in a house on a hill in Eagle Rock, California and the men behind the popular blog Husbands that Cook. Since its inception in 2015, Husbands That Cook was a 2016 Saveur Blog Awards Finalist for Best How-To Cooking Blog and a 2017 Taste Talks Awards Nominee for Best Food Blog. When they’re not cooking, they love being in nature, hiking, and spending time in their garden.